Domaine des Marrans is located in Fleurie, in the heart of the northernmost section of Beaujolais. Founded in 1970, the current proprietor is the young and talented Mathieu Mélinand, who joined the family domaine in 2008. With old vines and crystalline granite sites, Mathieu is growing some of the most pristine Gamay we know. 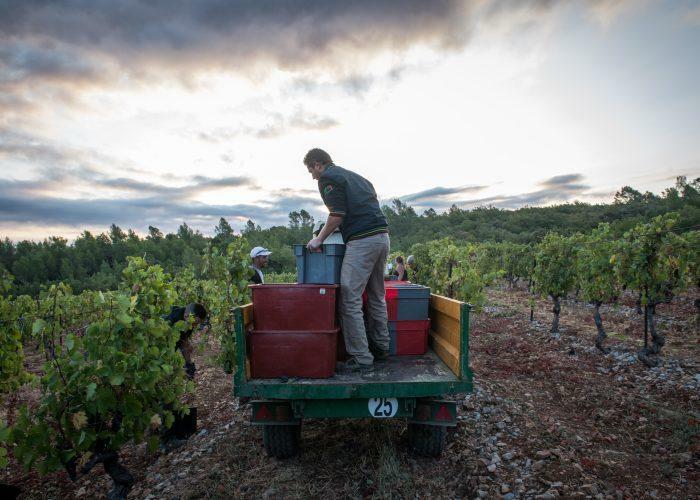 The vines are pruned in the traditional Gobelet vinetraining method and the harvest is done only by hand, using small crates to minimize oxidation. In the cellar, vinification is old school, with semi-carbonic maceration using whole clusters, minimal intervention, and only indigenous yeasts used. The wines are then aged in large older barrels for 10 months before bottling. This lineup is remarkably pure and fresh for 2015, with a grain and spice to the old vine Gamay that underlines how Mathieu nailed the harvest date for this vintage. These wines display their terroir with clear definition and racy floral deliciousness. Wine Enthusiast 93 Editor's Choice "From one of the top districts of Morgon, this wine is well structured and offers rich fruits. A good mix of spice and black fruit is supported by tannins. It is a rich, juicy wine with an impressive future. Drink from 2019." Vinous Media 92 "Lurid ruby.